Scribble Cards offers a very simple app designed to help kids learn how to write their letters and numbers. 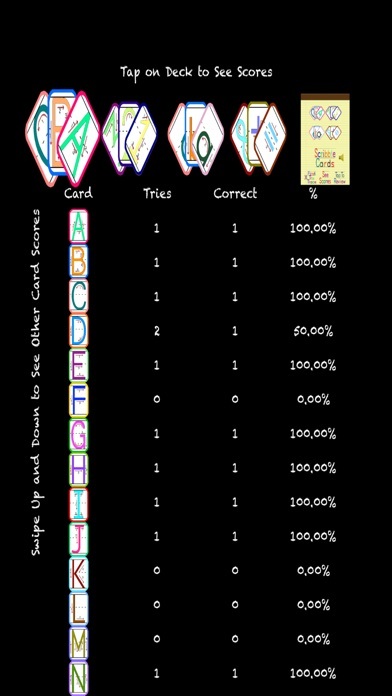 Kids can learn how to write their letters and numbers with Scribble Cards. 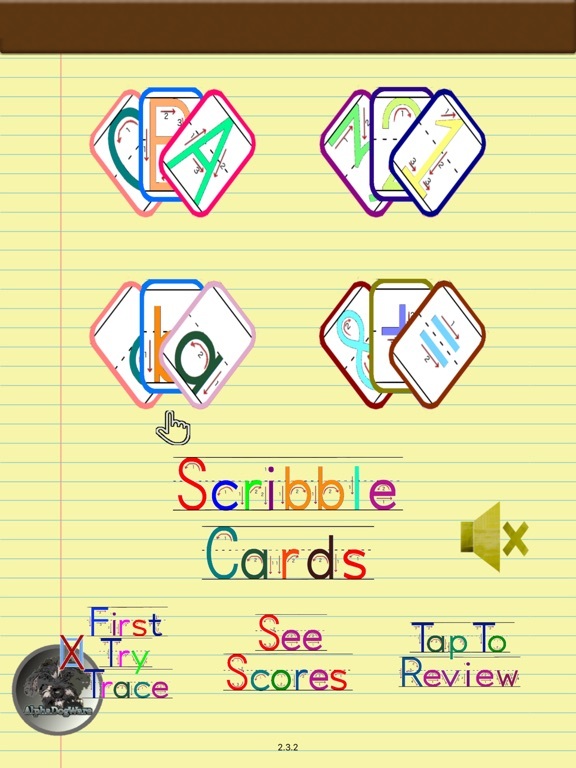 This very simple app basically offers what the name suggests, cards on which kids can “scribble” and practice early writing skills. With just a little guidance, kids can become pros at writing their letters and numbers. Unfortunately, Scribble Cards lacks the quality found in similar apps. Perhaps the tan background and scribbled letters have something to do with it. On the main screen, kids can choose from uppercase and lowercase letters or numbers. When it is time to write, a hand and a symbol appear where kids should start writing, but there is little guidance beyond that. While the app gives kids a place to practice writing letters and numbers and tells them where to start, it does not offer much additional guidance. If kids write the letter incorrectly, the correct shape does flash on the screen. However, it would be nicer if kids could see that shape before they start writing rather than after they get it wrong. Kids are rewarded with positive praise and signs of a celebration when they write a letter or number correctly. 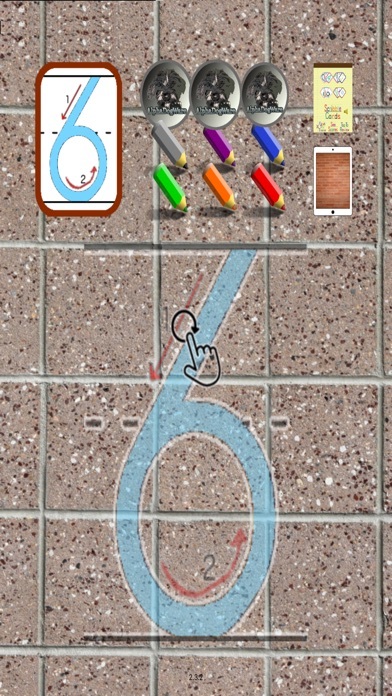 The app rotates letters and numbers so kids do not get tired of writing the same ones over and over again. 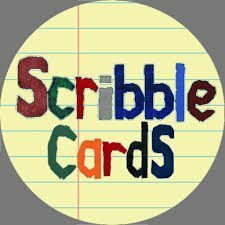 Scribble Cards is not free to download. While it is not a high-priced app, there are many alternatives available that offer higher quality and are free or less expensive to download. The app is child-friendly and free from ads and other inappropriate content.